Throughout the years vaping has definitely changed dramatically and that is to be expected with the urge of progression. 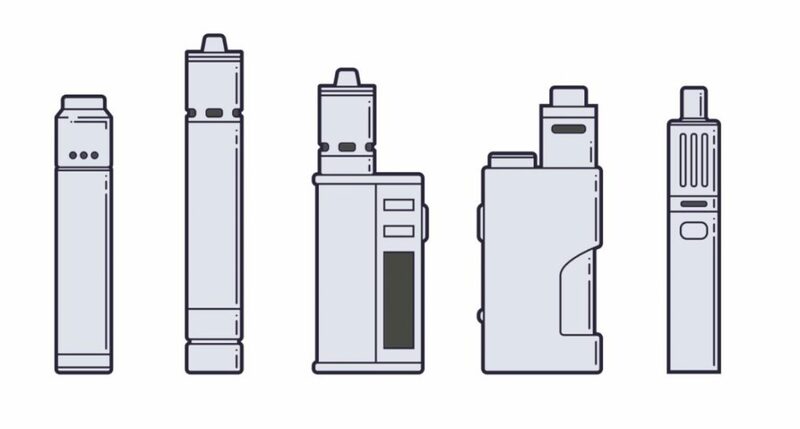 In the industry’s past times we’ve seen many of these changes, cycling through the introduction of variable voltage mods, variable wattage mods, sub-ohm tanks, mech mods, and who could forget the impact of temp control? These were all trends that shaped the landscape of such an uneven playing field. Despite it all, Premium Vape Juice has become the industry’s core. There is simply no denying the impact that Salt Nicotine E-Liquid has had on the industry in 2018. This ejuice referred to by some as vaping’s magic sauce takes the cake when it comes to what’s trending in 2018. It’s your normal free-base e-liquid that has been altered slightly to reduce throat-hit and enhance the wonderful experience of vaping. Pod systems was an incredible way to introduce salt nicotine and it has been trending ever since. While we may classify it as merely a trend, we’re betting that salt nicotine e-liquid is here to stay. 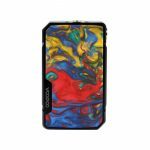 The VOOPOO Drag Series has most certainly become an on-going trend that has surfaced in 2018, especially with the introduction of the VOOPOO Drag Mod 2 and the Drag Mini Mod. What’s most interesting about this is that the VOOPOO brand first established to manufacture high-quality products for the medical and industrial fields in 2014 and later made its way to the vapor products market in 2017. It immediately began releasing some of the industry’s most iconic products, with the VOOPOO Drag Series becoming its most popular. Hot off the release of the Drag 2 and Drag Mini Mod, we’re sure the brand and its products will continue the same trend as it rolls over into 2019. We see it each year, a new flavor taking the spotlight, and as a result, vapers flock to discover the latest trend in flavor. A few years back it was custards, the next year it was yogurts, and 2018 brought forth a new desert flavor that had the ability to capture everyone’s attention, Cookie Butter Flavor Vape Juice. It’s a delicious treat that tastes as if cookie dough and creamy peanut butter came fresh out of the oven for an anytime baked cookie snack. 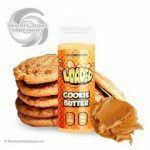 If you have yet to experience a Cookie Butter Flavor Vape Juice and want to try it for yourself, there are some vape juice deals floating around that’s sure to entice you just as much as this year’s trending flavor does. Though keeping up with vaping’s trends can become a bit expensive, especially right here in the midst of the Holiday season, Black Friday is soon arriving and there’s an opportunity for you to save yourself some money. If you’re looking to buy the products we listed in our list of Top Trends of 2018, our friends at West Coast Vape Supply has some incredible deals to be had. Black Friday Vape Deals 2018 is the event of the year that allows you to save money and finally get all of those items on your wish-list at insanely low prices. Shop the Black Friday deals at West Coast Vape Supply by simply scanning over the homepage to discover all of the featured deals on products like vape juice, vape mods, and even trending products like the new VOOPOO Drag 2 Mod. Vape shops, however, can continue to take advantage of West Coast Vape Supply’s Vape Wholesale Program, which has recently been relaunched utilizing a new platform and offering a better wholesale shopping experience.